• Unlocked so you can use any SIM cards inside, Dual SIM card feature enables you to use 2 different SIM cards at once. • Huge standby time of 37 days with quick charge feature. • Thermal Imaging Smartphone, identify electrical faults or temperature of the BBQ! • Wet finger tracking technology 6o you can touchsreen as normal even when wet. IP68 certified. • Dual cameras with high spec 16MP! • Super bright 5.2" display screen with Gorilla Glass 5 technology, ideal for tough handset protection. • 2 year manufacturers guarantee. The CAT S61 is an international dual SIM phone that is unlocked. 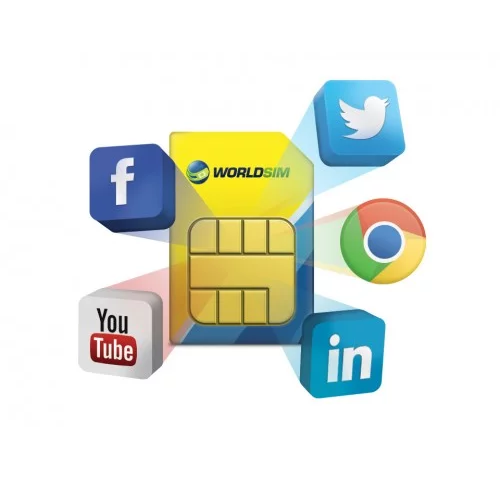 Access your personal SIM and WorldSIM travel SIM card on one phone - no need to carry two phones, or having to switch SIM cards when you travel. Perfect for travellers and hikers, the CAT S61 is 4G so you can use it anywhere. CAT S61 has 5.2" display screen, great for browsing the internet. Added Gorilla Glass 5 technology protects handset. The CAT S61 has a micro SD card slot that supports up to 256GB so you can keep all your files, music and movies on it. 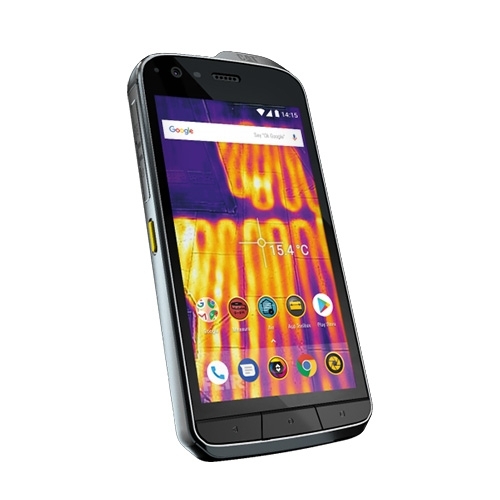 IP68 certified and waterproof up to 3 metres for an entire hour ,making this CAT S61 the world's most waterproof smartphone. Don't settle for splash proof when you can have a true waterproof device. CAT S61 also has wet finger technology so you can use touchscreen as normal even when wet. Strengthened die cast frame gives drop proof device up to 1.8 metres, tested on concrete drop. Identify gaps in insulation, electrical faults or even the temperature of the BBQ! Quick charge means in 30 minutes you can be back to 60% of power, standby time is impressive at 37 days. The CAT S61 comes with a WorldSIM Travel SIM card included so you can benefit from free international roaming in over 120 countries. In addition our travel SIM can reduce your international roaming charges by up to 95%. The CAT S61 has front 16 MP camera and rear with 8.0 MP perfect for excellent shots. 5.2" display screen with Gorlla Glass 5 technology, ideal for those hiking trips or wherever your life takes you! 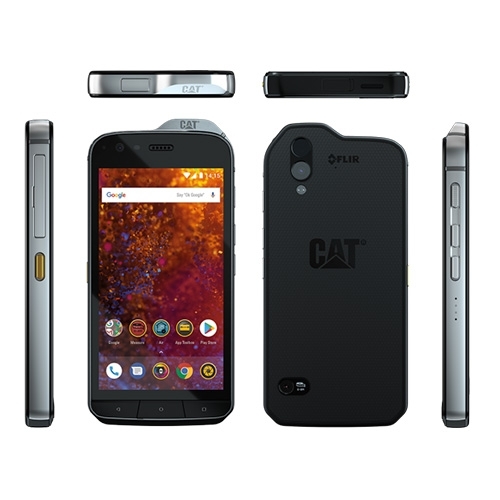 This rugged looking CAT S61 is tough and operates with Android 8.0 Orea software. The CAT S61 has a quad core processor for fast response. Great size for travelling, the 5.2" HD display is 1920*1080px with Gorilla Glass 5 technology. 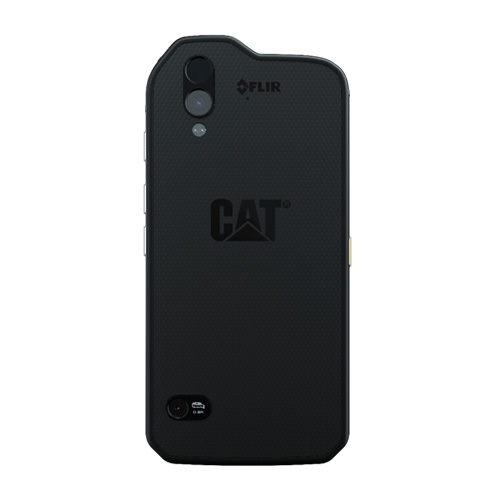 Use this CAT S61 anywhere in the world as its 4G. 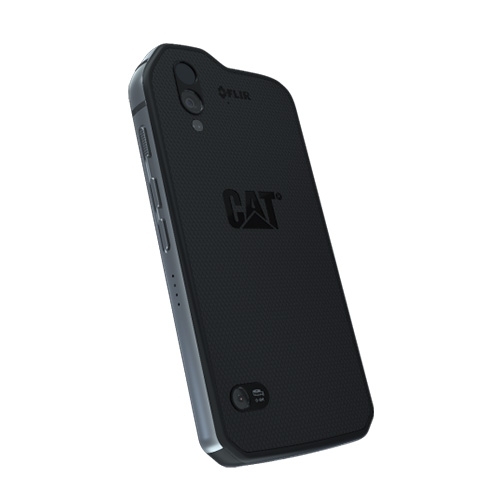 There are two standard size SIM card slots on the CATS61 so you can use two any SIM cards simultaneously.